Dr Blood's Video Vault: It's Quiz Time! It's Tuesday, the hot weather is slowly killing us, we're all a feeling a bit "shagged and fagged and fashed and bashed, O my brothers", so it's time for an easy quiz. Well, it's easy for me to set up anyway. Working out the answers may be more difficult. 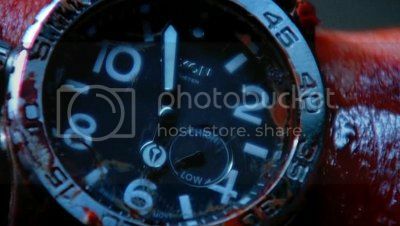 1. Who wears this watch in which horror remake? 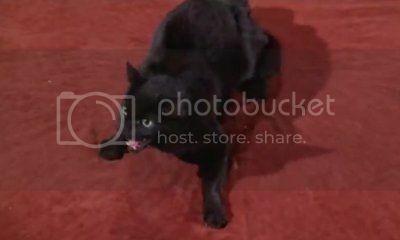 2. Who is this cat and what movie is she from? 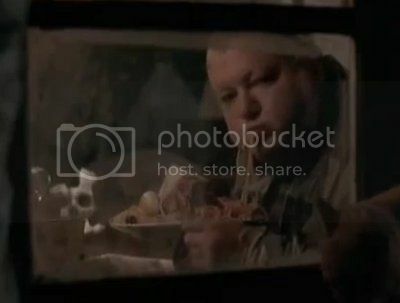 3. Who is eating spaghetti and what is the name of this movie? Clue: I've reviewed all of these movies in the last month. Please leave your answers as a comment below. Good luck!